1. STEP ONE: Please notify Lisa Horsch Clark, Director of Development, of your intended stock gift by calling 1-800-625-0321 or emailing lisahorsch@friendsofacadia.org. 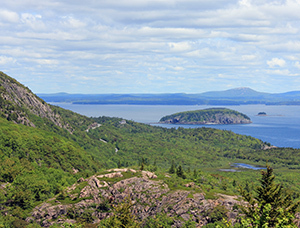 Please instruct your broker to wire our bank YOUR NAME and FRIENDS OF ACADIA’S NAME. Each year we receive some stock gifts by wire that carry neither the donor’s name nor our name. The “blind” stock thus sits unclaimed in our account at Goldman Sachs and delays your acknowledgement. 3. STEP THREE: Please have your broker wire the stock to Friends of Acadia’s account at Goldman, Sachs & Co. Customer: Goldman Sachs & Co. Please write “transfer via DTC” in the instructions. We will send an acknowledgment letter within one week of the receipt of stock. For your tax purposes, your gift will be valued at the average of the high and low prices on the date Friends of Acadia assumes ownership of the stock. Questions? Please call Lisa Horsch Clark or Jason Irwin at Friends of Acadia at 1-800-625-0321.